“It’s all eyes on KAWS in Hong Kong this month,” says Claire Crozel, the director of the Hong Kong Contemporary Art (HOCA) Foundation, which is staging the Special Administrative Region’s first comprehensive survey of the US artist’s work at PMQ (until 14 April). Hongkongers will be hard-pressed to miss the other major KAWS event: the arrival of one of his humongous inflatable Companion figures, the 37m-long Holiday, which was installed in Victoria Harbour on 22 March for ten days. Produced in collaboration with the Hong Kong-based creative studio AllRightsReserved, the project has previously popped up in Seoul and Taipei, where queues of people snaked outside the Chiang Kai-shek Memorial Hall in January to bag limited edition vinyl figures and other merchandise for as little as $50. Fans have already been snapping up the Hong Kong line of products. KAWS, aka Brian Donnelly, started out as a graffiti artist in New York in the 1990s. Back then he would crank open bus shelter advertising casings at night and remove the posters inside, painting cartoonish faces over the models with crosses for eyes before returning the posters before dawn. These so-called “ad disruptions” led KAWS to design a line of collectible toys with the Japanese clothing company Bounty Hunter. The figurines and subsequent iterations have a gained cult following in Asia among those who grew up in the 1980s watching Sesame Street and anime, as well as a younger crop of millennials and Generation Z. Now, a wave of institutional shows across Asia and the US (the Museum of Contemporary Art Detroit has an exhibition opening in May) aims to write KAWS into art history, much to the chagrin of critics who say he is merely a businessman and that speculation is fuelling his mushrooming popularity. But for Germano Celant, the Italian art historian and curator who has organised the HOCA survey, KAWS’s “modified concept of creativity… frees itself from the moralistic distinction between high and low”. Celant views KAWS as the natural successor to Andy Warhol’s Pop aesthetic and part of a generation of younger artists, from Tom Sachs to Takashi Murakami, who have “developed an attitude of thinking about art as a circular and open system, where there is no hierarchy between languages”. The way KAWS uses social media to speak directly to fans and drop limited editions is further evidence of this position. Spanning 37 works from the past decade, the Hong Kong survey debuts one outdoor piece as well as reuniting six of KAWS’s bulbous “Chum” paintings for the first time. Three of the figures were last shown together in 2017 at the Indonesian collector Budi Tek’s Yuz Museum in Shanghai as part of KAWS’s first survey in Asia. 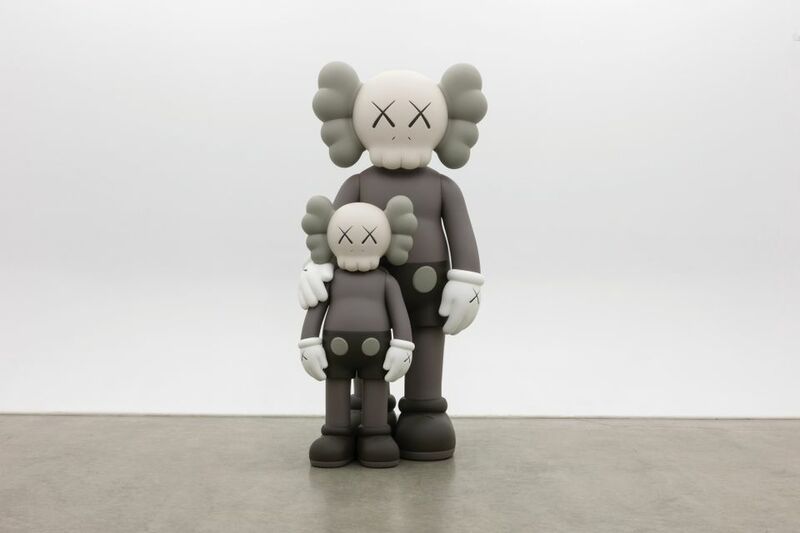 KAWS’s growing institutional stature appears to be piggy-backing on recent market success, particularly at auction. 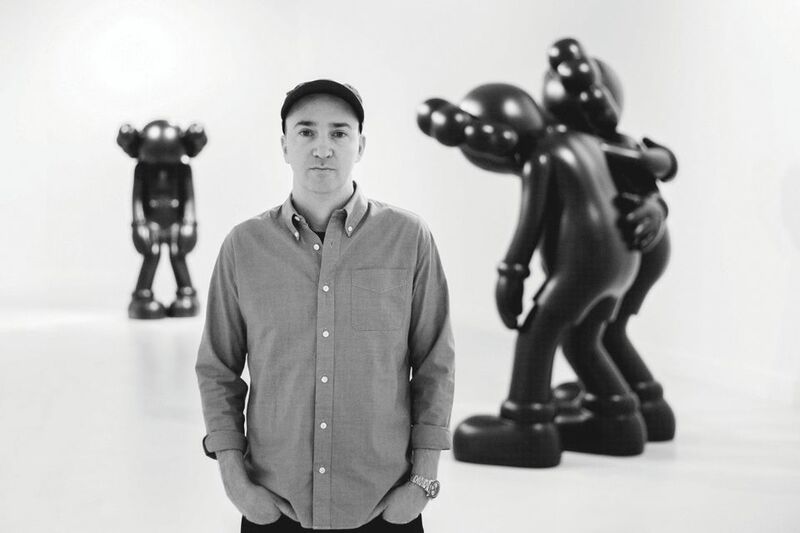 However, his primary dealer Emmanuel Perrotin has been carefully building KAWS’s profile in Asia since launching his Hong Kong gallery with a show dedicated to the artist in 2012. Last year, Perrotin opened simultaneous KAWS exhibitions in Tokyo and Hong Kong to coincide with Art Basel in Hong Kong. Meanwhile, Skarstedt Gallery began to represent the artist in February 2018, a further endorsement of his fine art credentials. The rise in value of KAWS’s work at auction is still remarkable; he broke his own record three times in one night last November and his top 20 prices were all achieved in 2018. Last year, his work racked up $33.8m at auction—a 260% increase on 2017, according to the latest Artnet Intelligence Report. Sources say Asian buyers are behind the majority of recent purchases. Auction houses have made conspicuous efforts to expand their remit to include more street art, with KAWS now a regular fixture in evening sales in London, New York, Hong Kong, Tokyo and Paris. “The recent diversification of art historical narratives, which addresses the under-representation of a wide variety of artists, has opened up a space for practices like street art, which were previously considered as ‘outsider culture’,” says Yuki Terase, Sotheby’s head of contemporary art in Asia. On 1 April, Sotheby’s Hong Kong is auctioning the collection of the streetwear entrepreneur Nigo, who has collaborated with artists including Futura, Stash and KAWS, whom Nigo met in Japan in 1996. Collaborations and crossovers with music producers have also proved fruitful, with Swizz Beatz and Pharrell Williams among KAWS’s most high-profile collectors. Phillips is also developing its street art offerings, having sold six of the top ten most expensive KAWS pieces. Following overwhelming success in Hong Kong at the end of last year, the auction house opened the British artist Banksy’s first show in Taiwan this month (until 24 March). Jonathan Crockett, Phillips’s deputy chairman in Asia, says that up until around two years ago, Taiwanese collectors were only looking at 20th-century Chinese artists. They are now giving way to a new generation. “These people are not necessarily collectors in the traditional sense; they are just interested in KAWS and street art. It's not only happening in Taipei, but also across the whole of Asia,” he says. Crockett observes a “trickle-up effect”, whereby serious collectors have become aware of KAWS through his affordable collaborations with brands such as Uniqlo. “What KAWS is doing in particular, which is really quite clever, is he’s not just making art for art collectors, he’s making art for the masses,” he says. But is it just a flash in the pan? After all, accessibility and ubiquity are not qualities often lauded in the snobby art world. Take, for example, the Instagram account Whatanartshole, which signs off every post with “#kaws”, presumably a disparaging nod to his pervasiveness. At the London contemporary sales earlier this month, one critic was also heard jokingly warning a dealer he could ruin his career by adding one line to his article: “Underbid on KAWS”. For Celant, however, the joke is on the art establishment. KAWS’s work, he believes, represents “the democratisation, industrial and commercial, of a contemporary aesthetic, which is supported by the digital network with KAWS as its protagonist with his thousands and thousands of followers”. This new system of knowledge and information “allows the artistic product to not stay relegated to the Western world, between Europe and America, but to circulate in all territories”. It is, Celant declares, “an epochal change”.